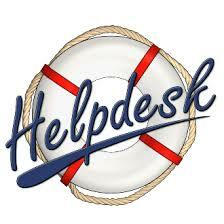 Welcome to the District 2 IT Helpdesk. We strive to provide efficient and professional support to all users. Please fill out the form below and give as much detail as possible. If this is an old issue, what is the Work Order Number? ROUTINE - a question or clarification of how to perform certain functions or tasks. MEDIUM - a problem needs the attention of a su0pport engineer but is not causing a problem that cannot be worked around until the resolution is complete. HIGH - a problem that is causing a limited number of delays in the completion or performance of system functions. EMERGENCY - a problem that is affecting the entire organization's ability to use the system. Does this problem affect the work flow of the clinic? (If YES, please explain below). If work flow of clinic is affected, please describe in detail.